A scaffold is a temporary structure used to support people and material in the construction or repair of buildings and other structures. There are many kinds of prefabricated, modular system of metal pipes, tubes, or poles. Because scaffolds can be erected at heights in excess of 125 feet, and require employees to work at height, the design and construction must be closely monitored to protect workers from falls and other hazards. 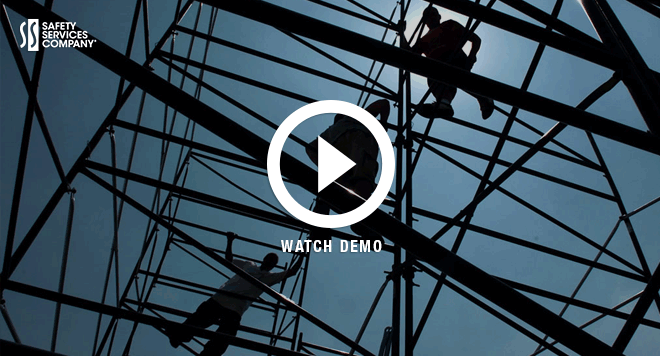 Each year, there are more than 4,500 injuries and 60 deaths stemming from scaffold-related incidents. In order to reduce the potential for scaffolding related accidents OSHA requires all employers to have safety manuals to certify their employees on the proper operation, maintenance, hazard training and more. To protect workers from scaffolding related injuries OSHA has adopted (CFR 1910.28 and 1926.451,452, 454). These regulations identify the maintenance, best practices, and training. Meeting these regulations can be a challenging task requiring you to either spend time and resources developing a training program yourself, or outsourcing the training to expensive safety consultants. Our Supported Scaffold training kit is a simple three-step solution that brings all your employees into compliance. To help you understand scaffolding regulations and keep your employees safe on the jobsite when using scaffolding we created this training program. All certification through our Supported Scaffold training program meets or exceeds OSHA requirements. By providing your company with all the necessary material, your designated trainer will be able to deliver the required training quickly, easily, and consistently. If you have any questions about OSHA safety manuals, or are ready to order your Scaffold safety training program, contact us today at 888-461-5023.